Recommended for support of lower back during repetitive activities, compression and support for injuries of lower back, and helps prevent lower back sprains and strains. 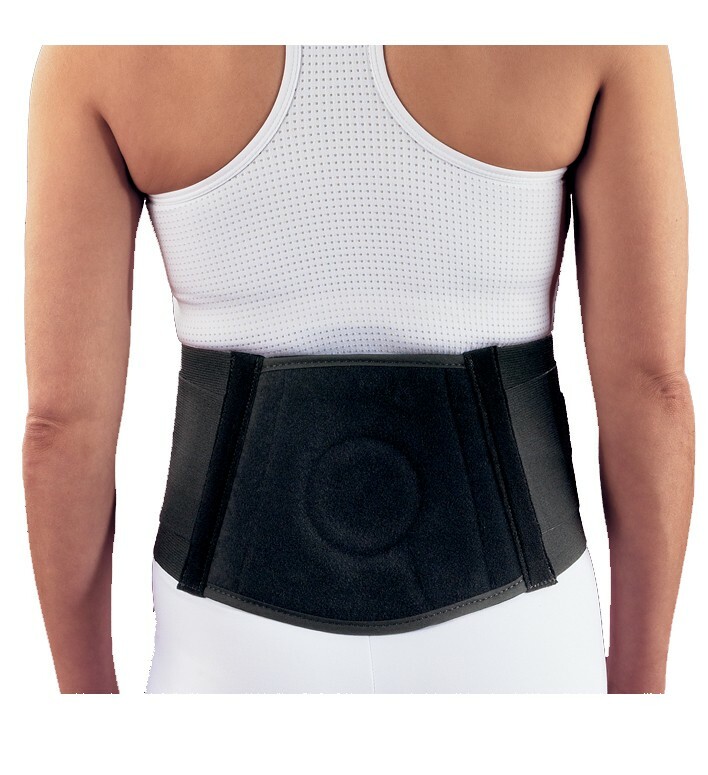 Shop our complete selection of back braces or browse additional DonJoy products. Would this be a good brace for a woman who is experiencing pain from picking up small children all day at work? Yes, Depending on the location of pain and the severity of your injury. I received a donjon wrap in the hospital after back surgery. It has a pocket for an ice pack. Does this wrap have an ice pocket? It has a small pocket in the back of the brace for a lumbar pad or heat formable insert. It is pretty small I do not believe a ice pack would fit into it. 1. Please provide the top to bottom measures a) at the ends, and b) in the middle. 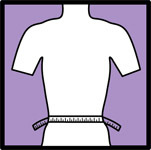 order to wear it UNDER my clothes. 1. At the longest point in the apex of the back, it measures 8". At the ends (front part of brace), it measures just shy of 4". 2. It is fastened by velcro wrap-around enclosures in the front that overlap to fasten (like how you wrap a towel around your body). I have used the black Elastic Back Support for 6 months now, and it has been a true godsend. I have had four lumbar surgeries...two that were the minimally invasive kind at L3/4 and L4/5. The third surgery was a three level fusion with instrumentation (titanium rods and screws) at L3/4 through L5/S1. Six years later, the 3-level instrumentation was taken out and a 5-level (L1/2 through L5/S1) fusion with instrumentation put in. I am now close to 81, and have finally had to give up golfing :( as my back has become very weak and arthritic. In order to function, I have to take 2-3 Hydrocodone a day. It doesn't take away all of the pain, just mitigates the worst of it. However, because of the weakness, I cannot stand up straight; that is, UNTIL I put on this support. I have tried many, many others, but they were either too cumbersome and hot to wear or they didn't give sufficient support. Finding this 'just right' support is like being Goldilocks. It has enabled me to not only walk upright again, but even to travel overseas, which always requires walking, if you're going to see the sights you traveled to see. In fact, we just booked another trip...this time to the British Isles...land and cruise. I wouldn't be on this vacation if I didn't have this back support. Thank you Better Braces! PS...if it were made in white, as well, I'd buy another one. There being only a black one offered, I'm limited to wearing only black or dark colored blouses when wearing it, which is most of the time. Sometimes I wear a white camisole under light colored blouses to hide it, but that doesn't work out with some blouses. Better Braces needs to be aware of ladies' special needs and offer this support in white, too.